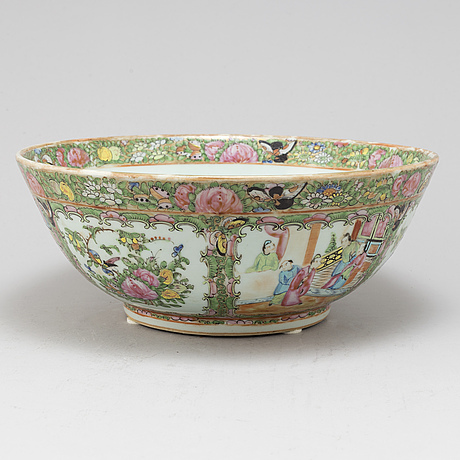 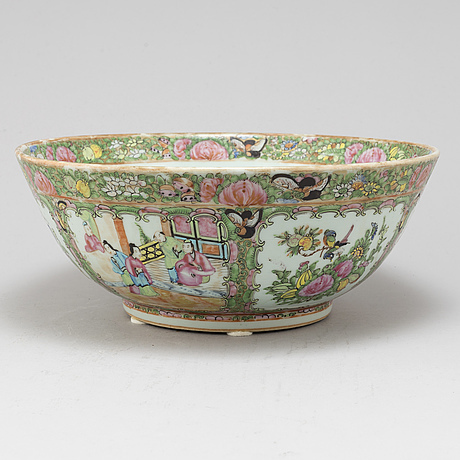 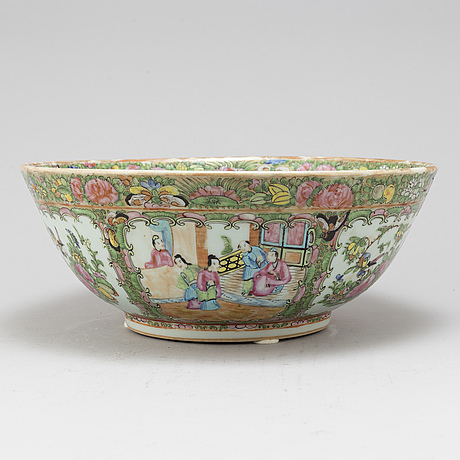 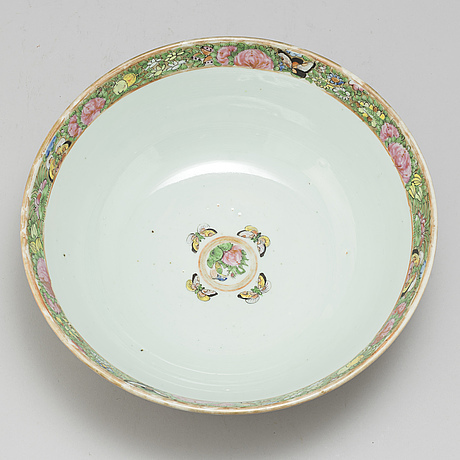 A famille rose Canton punch bowl, Qing dynasty, 19th Century. 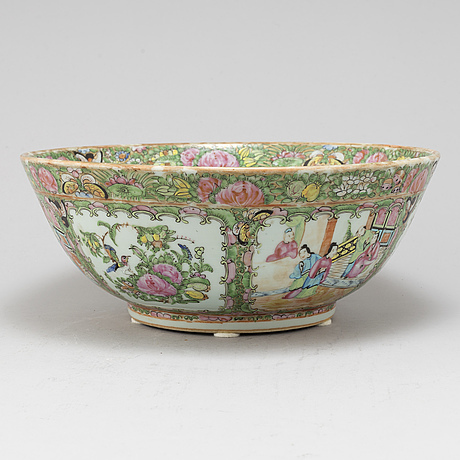 Decorated with flowers and figure scenes. 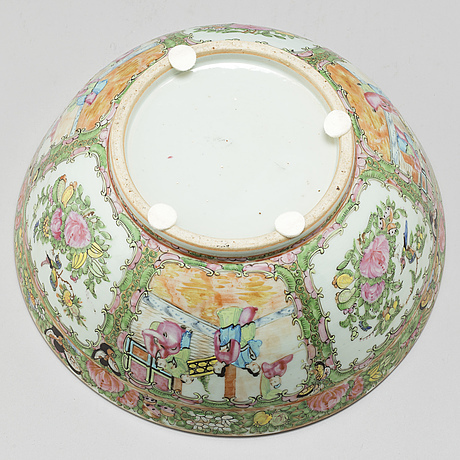 Diameter 34,5 cm.